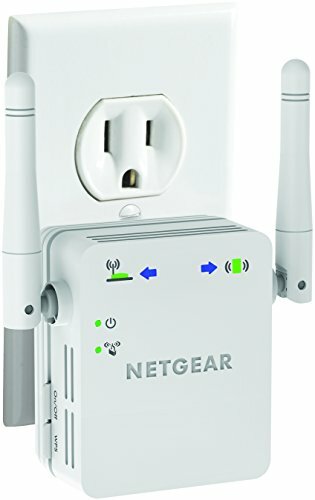 The NETGEAR Universal WiFi Range Extender effectively doubles the operating distance of your entire wireless network and conveniently avoids additional need for power cables or device clutter on your offce desk or home theater. WN3000RP extends your wireless network to include the area outside the range of your existing wireless router by overcoming obstacles and enhancing overall network signal quality, giving you the freedom to roam anywhere in the house and access Internet without worrying about coverage. The product was specifcally designed to be plugged into an electrical outlet, and blends in nicely with any surrounding. It is compatible with wireless b/g/n routers, gateways and Internet service provider devices.